Fr. 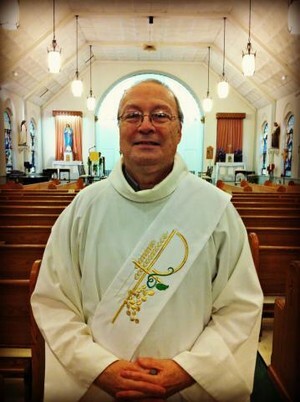 Leonard R. Klein has been a priest of the Diocese of Wilmington since April 1, 2006. He has served in the Family Life Bureau and as a hospital chaplain. 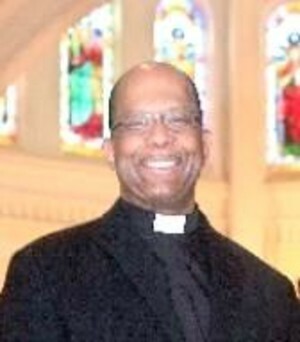 For five years he was a part-time associate pastor at Immaculate Heart of Mary in North Wilmington. Since February, 2011, he has been administrator of St. Mary’s/St. Patrick’s in downtown Wilmington, and since June, 2012, also of the Cathedral of St. Peter. He is also Director of Pro-Life Activities for the Dioceses. He is chaplain of the St. Thomas More Society, the guild of Catholic attorneys, and a member of the Board of St. Francis Hospital. Fr. 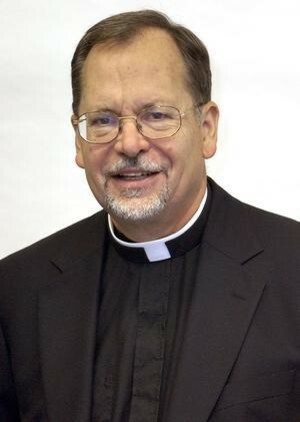 Klein served for thirty years as a Lutheran pastor in New York City and York, Pennsylvania, before entering the Catholic Church in July, 2003. He is a graduate of Yale College and Divinity School and has studied at Concordia Seminary, St. Louis, Union Seminary in New York City, and St. Mary’s Seminary in Baltimore. He has written articles for a wide range of publications and during the mid-nineties was editor of Lutheran Forum, at the time the largest independent publication in American Lutheranism. He is married to Christa Ressmeyer, and they are the parents of three children, Maria, Nicholas, and Renate. They have five grandchildren, and one on the way. The rescript from Rome granting Bishop Michael Saltarelli permission to ordain him was granted ten days into the papacy of Benedict XVI. The request from Bishop Saltarelli had been approved for recommendation to the pope at the last meeting of the Congregation for the Doctrine of the Faith presided over by the then Cardinal Ratzinger. Fr. McVoy is an Environmental /Analytical Chemist and was a Senior Project Manager for more than 25 years. After moving to Wilmington from Tallahassee, FL as part of a corporate move, he worked for URS Corp., contracted by DuPont Engineering in 1998. He began Permanent Diaconate Formation in the Diocese of Wilmington in 2001 and was ordained to the diaconate in September 2004. He and his family quickly became a part of the Sacred Heart Oratory community, in Wilmington, which he still considers his spiritual home. Fr. McVoy started his priestly formation in a most unusual way. Fr. McVoy is a widower and was married to Bethlhem Kebede, his college sweetheart, for 24 years who died in January 2004. They have three children, Aklecia, 29, Salem 27, and Yohannes (Johnny) 26. Fr. McVoy, also known as Fr. Mac, credits the workings of the Holy Spirit in his entire life that prompted his discernment and his “yes” to the diaconate and then on to priesthood. Fr. Mac also knows that if not for his wife, Bethlhem, he would not be a priest today. In his meeting with Bishop Saltarelli, he said to Fr. McVoy prior to entering the seminary, “the Lord makes a crooked road straight”, then he said, “Who am I to say no to you or to your vocation”. Fr. McVoy was born in Paducah, Kentucky. A fifth generation Roman Catholic, he began his sacramental journey at Rosary Chapel. He has a degree in Chemistry from Howard University in Washington DC, with graduate studies in Environmental Toxicology from Florida A&M University, Classical Music from Florida State University in Voice. He entered the seminary in 2006 at Blessed John XXIII National Seminary, in Weston, MA, and earned a M.Div. in the spring of 2010. He is currently pursuing a Masters in Business in Church Management from Villanova University. *UPDATE* Deacon Bob died April 14, 2018. I was born in Fall River, Massachusetts on April 26, 1943. After graduating from high school I enlisted in the U. S. Air Forceand served in Italy and Crete. After my discharge I entered theSociety of St. Joseph of the Sacred Heart(the Josephites) as a religious brother. The Josephites serve the African-American population. I graduated from Xavier University of Louisiana with a degree in Social Welfare/Sociology. I taught at an all boys Catholic High School in New Orleans, La. and served at a parish there as well. After 14 years of religious life I left the community. I married Margaret(Midge) in 1989 and live in Wilmington. We have one son, two grandchildren and one great grandchild. I was ordained a permanent deacon for the Diocese of Wilmington in 2001. I served for 10 years at St. Joseph's Church on French Street and am now assigned to St. Mary/St. Patrick Church. I also worked for 9 years with DuPont and with the State of Delaware for 15 years. I worked for the Division of Family Services as a Foster Home Coordinator and retired in 2009.